On Facebook, people like to get news and read from there. The news publishers then spread the news to the reader using the Facebook platform. Their content dragged users to Facebook. Facebook is rich in it. Increases the revenue of Facebook, leads to advertisements. But news publishers are deprived of the expected income. The advertisers turned away from them. But Facebook could not create a specific business model for publishers in those days. Prior to that several times, some have tried to model. But failed every time. Facebook means new test-audit. The news publishers are also going through various examinations. Earlier, the news publishers opened a Facebook account with the opportunity to earn money and a service called Instant Article. Publish news on Facebook is a way to earn money for publishers. But this effort did not please the publishers. It can be said, it is a failed attempt. Then Facebook made an effort with live video. The Facebook authorities said they paid money from Facebook as an effort to bring a lot of live video to Facebook. But this effort has not seen much success. Many people have left the live video without getting enough money. 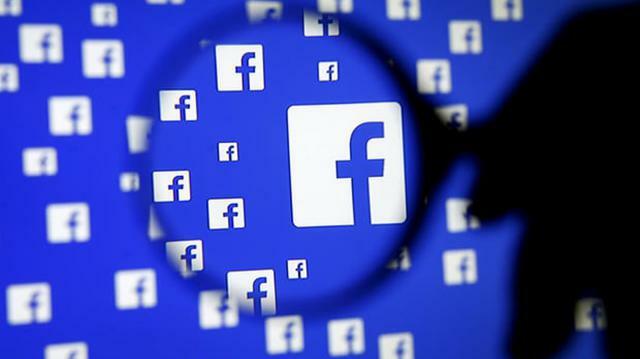 Technology website Rikode says, Facebook has taken another initiative again. Recently Facebook has announced the introduction of news programs for news publishers in the category of Facebook Watch Program. Along with the new business plan, live video publication rules have similarities. Through this initiative, the media company or publisher will publish news on Facebook, Facebook will pay their money. Outside of the program, there will be opportunities to earn additional income by advertising in the break. According to CNN's report, Facebook will sign a contract with organizations that will be made available to Facebook and will be broadcast on Facebook. From now on news media like ABC, CNN and Fox News will be seen on Facebook. These shows will be broadcast on Facebook under Facebook's own 'Video Service'. In the meantime, a partnership agreement has already been signed with the media. Since the allegations of spying, Facebook has been making various efforts to restore the trust of their users. And this initiative is the effort that they believe will develop their relationship with the news industry. Campbell Brown, head of Facebook's Global News Partnership, said, "We have given more emphasis on quality than the number for six months. Now we are going to invest in increasing the number of standard news on Facebook. Ricod says the company is moving ahead with similar plans for other 'watch' programs on Facebook. However, how it works, it is not yet clear. It is believed that Facebook will be given more money in the initially contracted major companies. Among them are regular events of CNN's Anderson Kuiper, Fox News's Sep Smith Program, ABC News, Univision and MIC. The question is, where the previous attempts are failing, how is it possible to succeed in such a program? The problem is - publishers' earnings are slightly lower than those attempted to create a program or video for Facebook. Facebook does not hesitate to spend any money from pocket for those publishers who work for Facebook Publishers will have to catch visitors for their videos or events in their own initiative. There is no substitute for earning money from these programs. There is also the cost of creating the program outside. One thing to remember, Facebook is not known to be the destination of videos like YouTube or Netflix. So it is difficult to attract visitors to Facebook videos. Facebook is working on the issue. Besides, news publishers are also keen to keep pace with it, and Facebook is experimenting with another plan. If this initiative is successful, it will be good for Facebook. But the news publishers are happy about whether they are happy to see that.